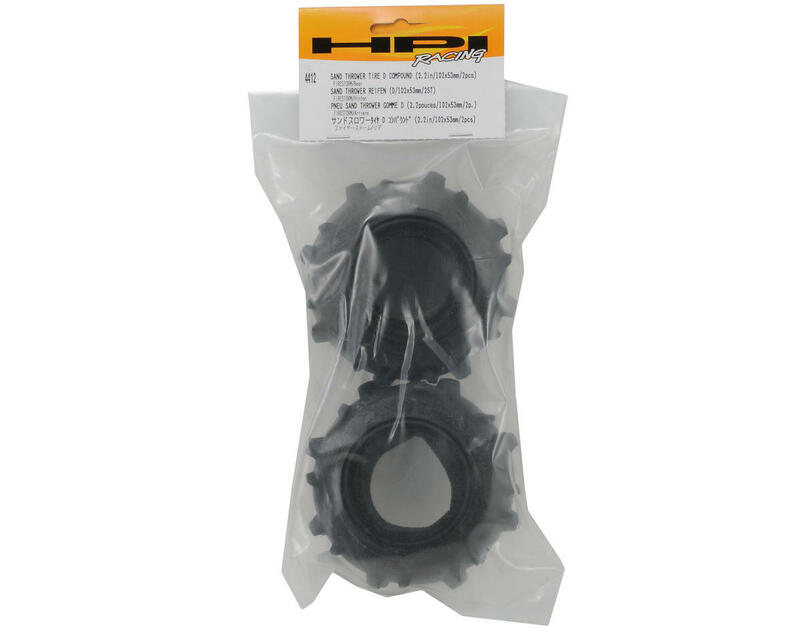 This is a set of replacement HPI 2.2" Sand Thrower Truck Tires, in D Compound. Now you can take any 2.2-inch wheel equipped vehicle to the dunes and throw huge roosts of sand just like the real sand rails. Molded in HPI’s exclusive D Compound, Sand Thrower paddle rears have 8 large paddles for maximum traction in sand. 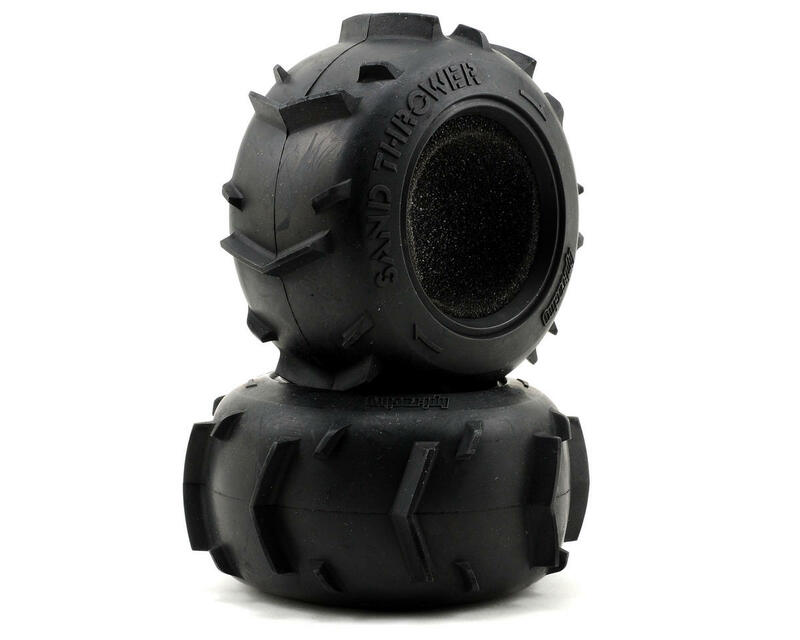 Sand Thrower tires are designed for the sand, but you can also run them in loose dirt and even in the mud! Sold in pairs, these tires are a direct replacement for the factory Firestorm tires or any 2.2” wheel application. They can be used on the rear of 2WD trucks like the HPI Firestorm, or on all four wheels of 4WD trucks like the HPI Nitro RS4 MT. I bought these from another website. Smartly engineered. On a 4wd, put these on all four corners and the car goes ballistic over the sand dunes. Can't go wrong with these tires.